Soft cover, 108 pages, 210 x 297 mm, English text; Containing over 160 photos, predominately colour with some black-and-white photographs and with specially commissioned scale drawings and side profiles. The colour walk around will benefit anyone building a Fouga Magister. 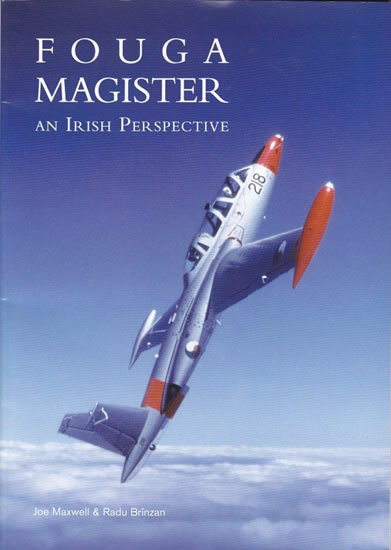 A very thorough and comprehensive look at the Fouga Magister and the Irish Air Corp, this book is so much more than just the aircraft. The colour images, walk around, colour profiles and both 1/72 and 1/48 scale drawings make this a must have reference book. Highly recommended for those interested in either the Irish Air Corp and or the Fouga Magister in Irish service. Like most aircraft book, this one begins with a look at the pedigree and development of the CM.170 Fouga Magister in France. Now most books would follow with some in service discussion however, Joe and Radu take a very novel approach and look at the Irish defence force peacekeepers in the Congo’s first contact with the Fouga Magister when examples arrived for the Katangan Air Force. There is no spoiler alert here but the chapter makes for some interesting historical reading. The book then returns to looking at the selection process, how the aircraft performed including the use by the Irish Air Corps aerobatic display team the “Silver Swallows”. 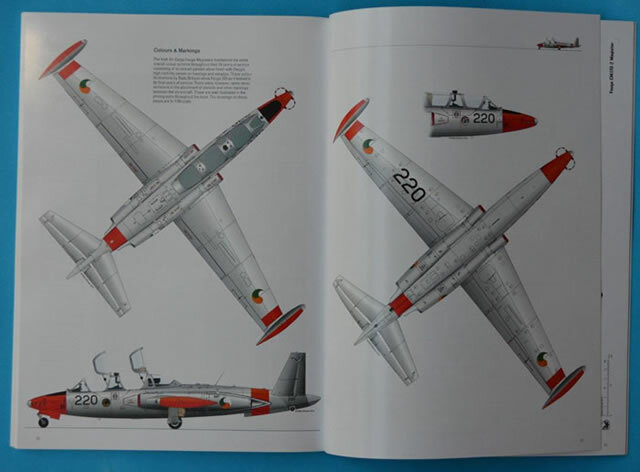 The authors then delve into the more technical side of the Fouga Magister; this section contains a fantastic full colour walk around including a beautiful three view drawing and scale drawings in both 1/72 and 1/48 scales by Radu Brinzan. Finally the book concludes with a look at the withdrawal and replacement of the Fouga Magister by the Pilatus PC-9M. Chapter 1 What's in a Name? – Looks at the development of French aircraft development that led to the design of the Fouga Magister. Chapter 2 First Encounter – Looks at the period when Irish troops were serving with the United Nations as peacekeepers in the Congo and their encounter with a Fouga Magister of the Kantangan Air Force. Later chapters reveal an ironic turn of events for these aircraft. Chapter 3 Replacing the Vampire – We then investigate the genesis of the requirement for a trainer to replace the aging Vampires in Irish Air Corps service. Chapter 4 Flying the Fouga - Full of first-hand accounts of what it was like to fly the Fouga Magister. Chapter 5 The Silver Swallows Story- Continuing on from the pilots account on what it was like to fly, the book continues into the evolution of an aerobatic team and its struggle to continue to operate with a very small fleet of aircraft and instructors while continuing to conduct pilot conversions for the Irish Air Corps. Chapter 6 Maintaining the Fouga – To back up the amazing ability to maintain an aerobatic display team this chapter discusses how the impossible was achieved from a very small fleet of aircraft due to the dedication of the maintenance workforce. 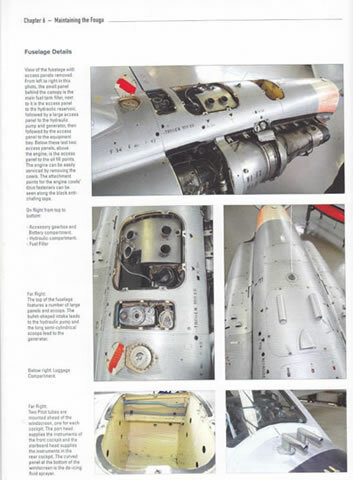 This section contains a detailed description of the airframe with over 100 photos and scale drawings. Chapter 7 Wind-down and Replacement – Finally we look at the same considerations as chapter 3, but we now look at the last years of service, the selection process to find a replacement and the eventual introduction into Irish Air Corps service of the Pilatus PC-9M. What a great book. 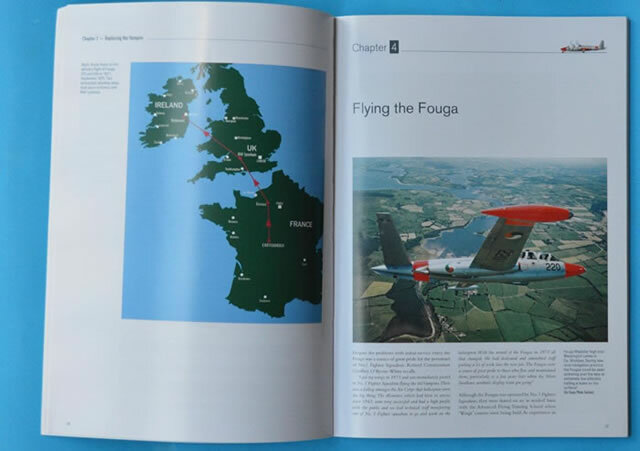 For the aviation historian it is a great read, for fans of the Fouga Magister this is an essential book, if you’re a fan of Irish Air Corps history, this book is for you. Finally for the modeller this is an outstanding resource. Even if you are building a Fouga Magister operated by one of the 20 nations that flew the aircraft, this is a fantastic book. Okay I think I’m out of superlatives. In summary this is a very well balance presentation of the Fouga Magister from an Irish Perspective. I certainly would like to see the standard set by Joe Maxwell and Radu Brinzan used in other aircraft books. My Thanks to Max Decals the review sample.